These days, the off-court action at the Australian Open is just as exciting as the sporting action on the courts. You’ve got top-notch pop-up restaurants and bars, all the festivities of the Australian Open Festival at Birrarung Marr, live music at the AO Live Stage, and – in a Grand Slam first – the AO Chef Series. For the first time ever, Melburnians will be able to enjoy exclusive food experiences in The Glasshouse with some of the world’s finest chefs. Normally, tickets to experience Angela’s degustation would cost $395, but we’re giving one lucky winner two tickets to lunch, valued at $790. 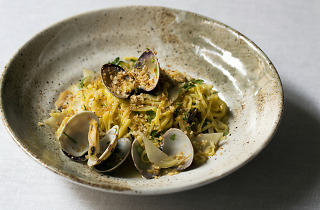 The winner will be enjoying a five-course degustation with matched wines with Michelin Star chef Angela Hartnett. 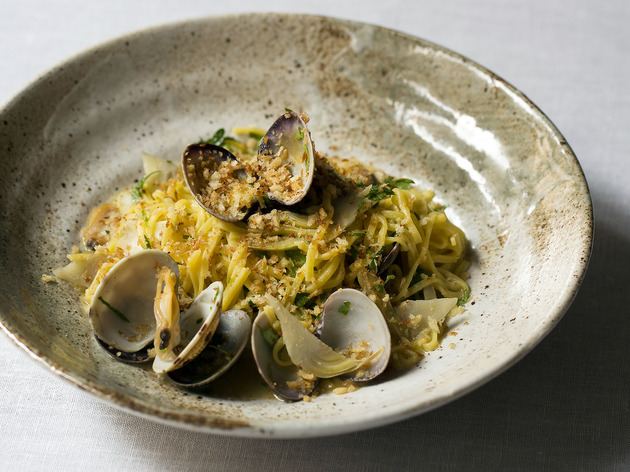 As the executive chef of restaurant Murano London, Hartnett has gained an international reputation for her menu based on seasonal food with an Italian flair. At the lunch, the winner will also personally meet her, as she reflects on her career and journey to the top of the culinary world. Prize is for a lunch degustation experience on Sunday 21 January 2018. To enter, simply submit your details below by Tuesday, January 9.